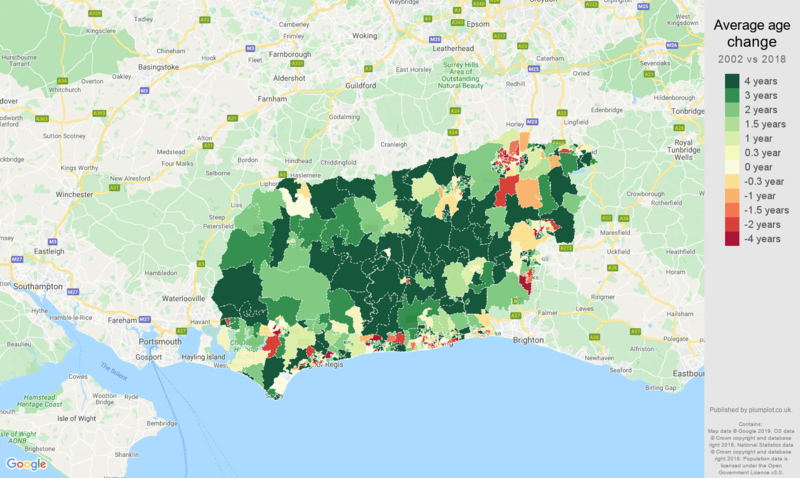 In 2017, the total population of West Sussex county was 852k. 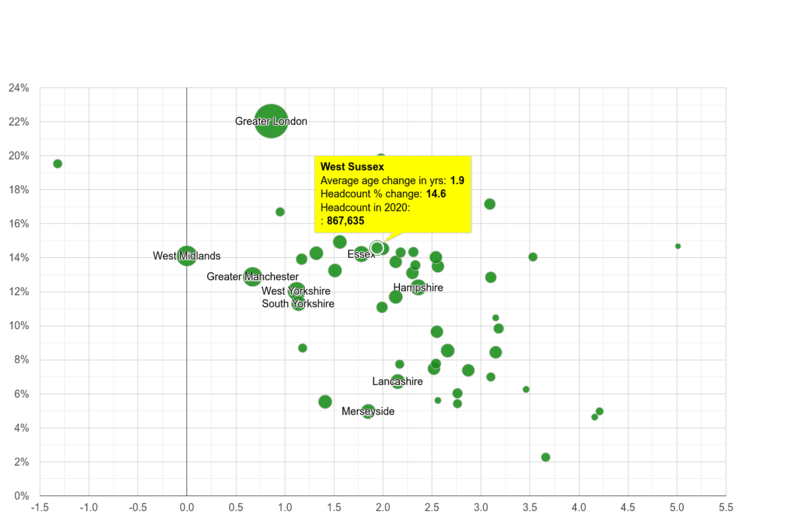 Since 2002, it increased by 95.1k people, which makes up for 12.6% population growth. Population average age was 43. It increased by 1.5 years since 2002.